Rielle has the ability to manipulate seven elements, making her one of the prophesied pair of Queens that could save or doom the world. She has to undergo trials in each of the elements to prove herself, risking her life in order to do so. 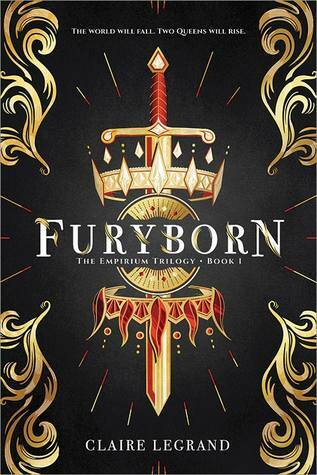 A thousand years later, Eliana is a bounty hunter for the Undying Empire, killing others to keep her family safe. At first, she thought it was working, but then her mother disappeared and she had to ally with the rebel leader in order to find out what had happened. Both soon discover there are far more secrets than they ever knew about. The stories of Rielle and Eliana are interwoven, and you suspect the relationship between the two long before it's actually revealed over the course of the novel. At first, Rielle is depicted as the horrible Blood Queen of legend in the prologue, but then we actually see her story unfold. She had thought she was the Sun Queen, that she could have the man she loved, the friends she cared for, and be worthy of the people she had been hiding her magical abilities from. Eliana had wanted to be nothing more than the soulless bounty hunter that would keep her family safe and hadn't wanted to question anything she was doing or feel emotion about the consequences of her actions. Each of them was hiding in their own way, and the trials within the novel really force them to take a hard look at themselves and their motives. 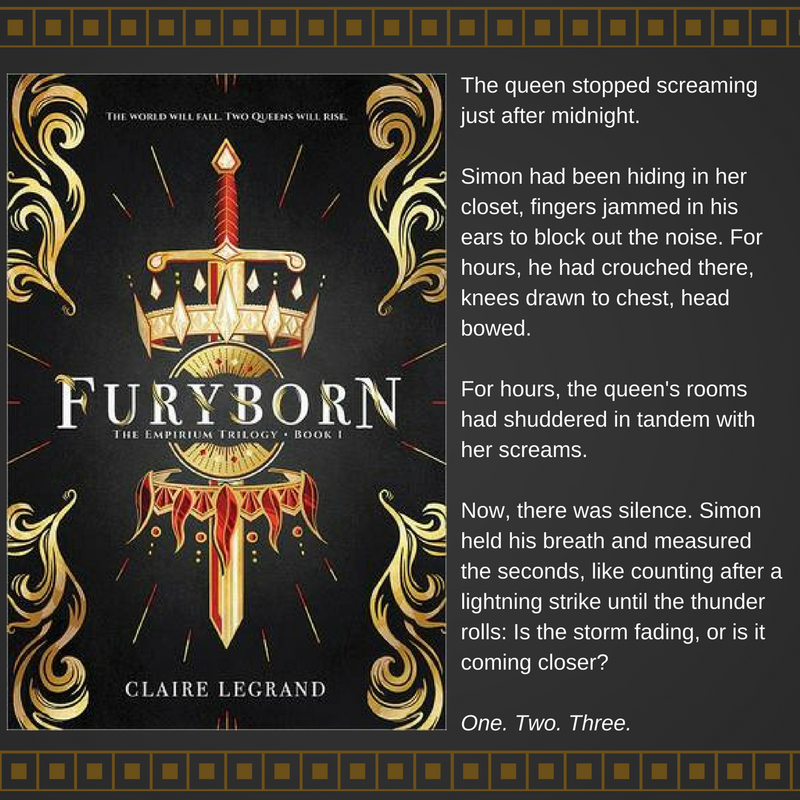 Furybord is the first novel in the Empirium Trilogy. The Empirium in this world is the magic that controls the elements: fire, air, water, earth, metal, darkness, and light. I love the world building involved with the different kingdoms, the history hinted at with the war with angels and their odd appearance and abilities. There are a number of really surprising twists in both storylines, especially as the plots pick up speed and grow really intense. Because this is the first of a trilogy, it feels as though the ending is a bit abrupt. Both story threads end on a somewhat completed note, as both Rielle and Eliana reach the goal that they set out to do at the start of the novel. There's clearly more to the story, and I was disappointed that there wasn't more. I'll have to wait for the other two books in the trilogy, just like everyone else. Sounds fascinating! All that screaming would definitely make me cringe. Thanks for sharing...and for visiting my blog. A powerful opening! It looks fascinating. That is a great beginning. This sounds like a book I would enjoy. This week I have Willnot by James Sallis. Happy reading! I have this on my list, but may wait a while before reading. Not my kind of read but I hope you enjoy it! This ook is not grabbing me. I think it starts with the cover, but the first paragraph didn't work for me. I'm sorry. I do hope this one is enjoyable for you. This is my usual genre but I can see how it would be appealing.